Tina is our Kylie x Parker girl. 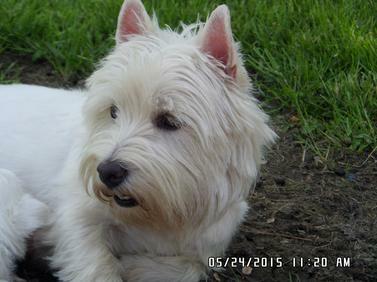 She is a very happy, playful westie who also loves to camp, swim, and play outside! 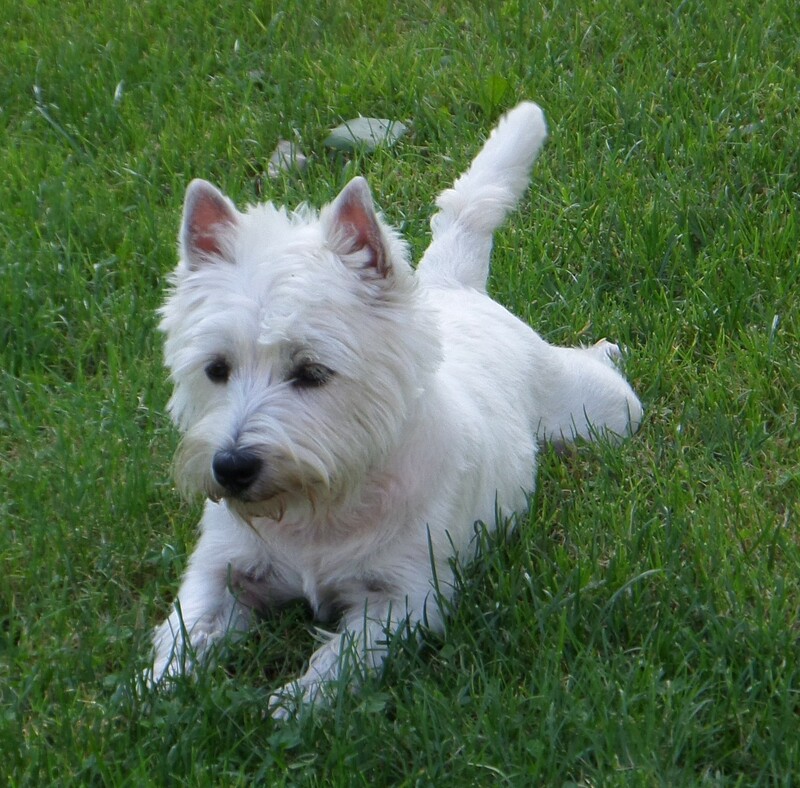 Tina has LOTS of energy and plays great with the other westies and LOVES to play with Labrador puppies! Tina is my girl and she loves to snuggle and watch TV with me. 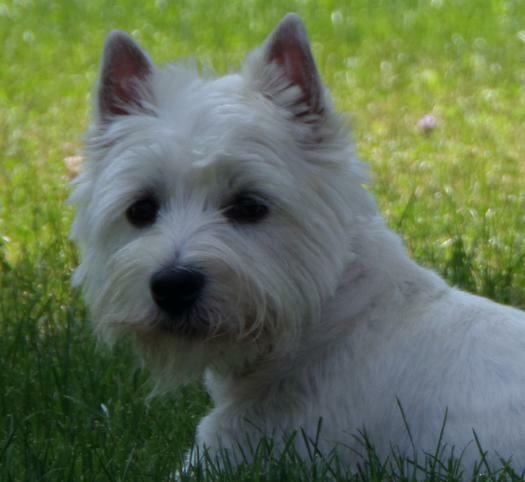 She is a small westie with lots of personality! Tina weighs 14 lbs and is clear of any health or allergy problems.